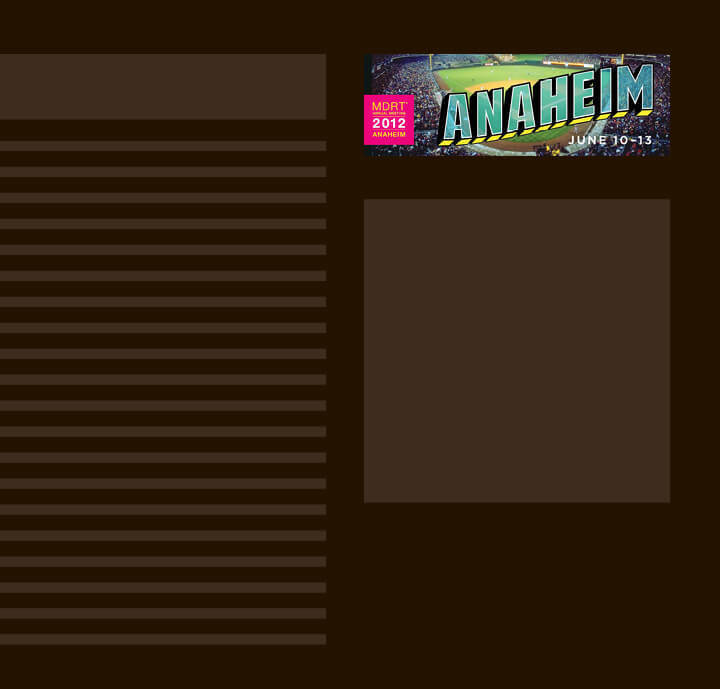 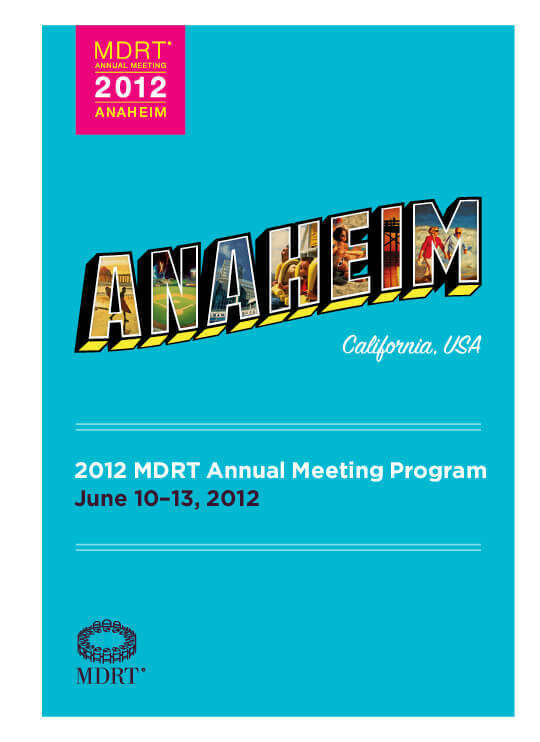 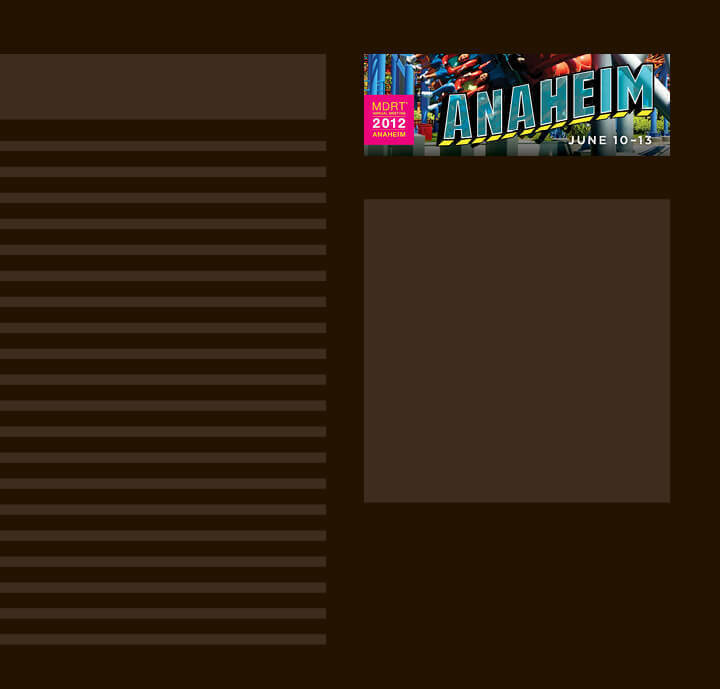 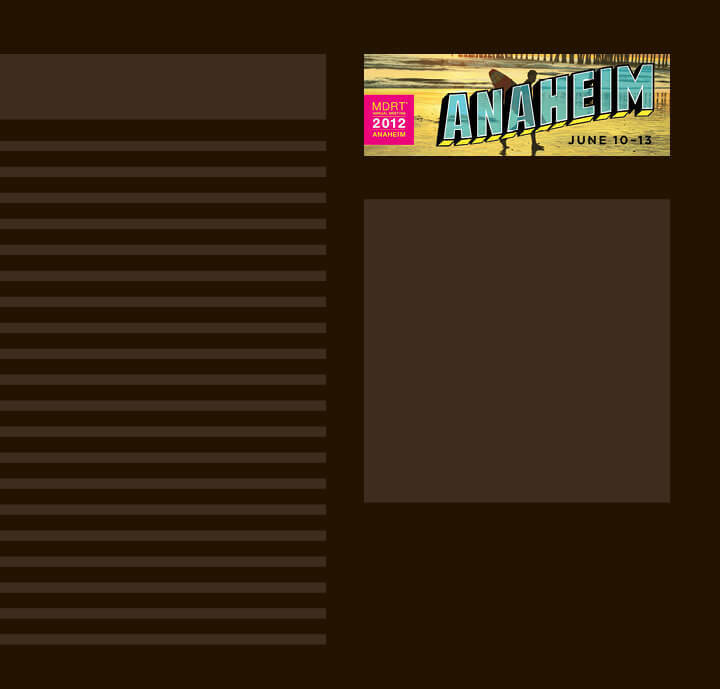 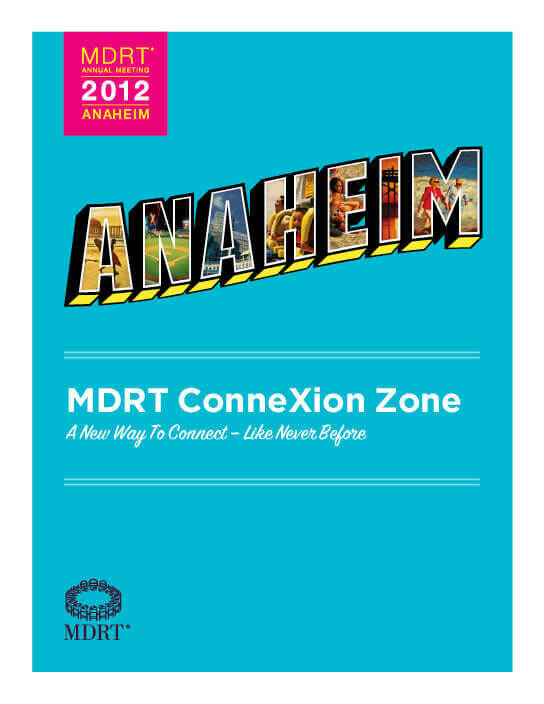 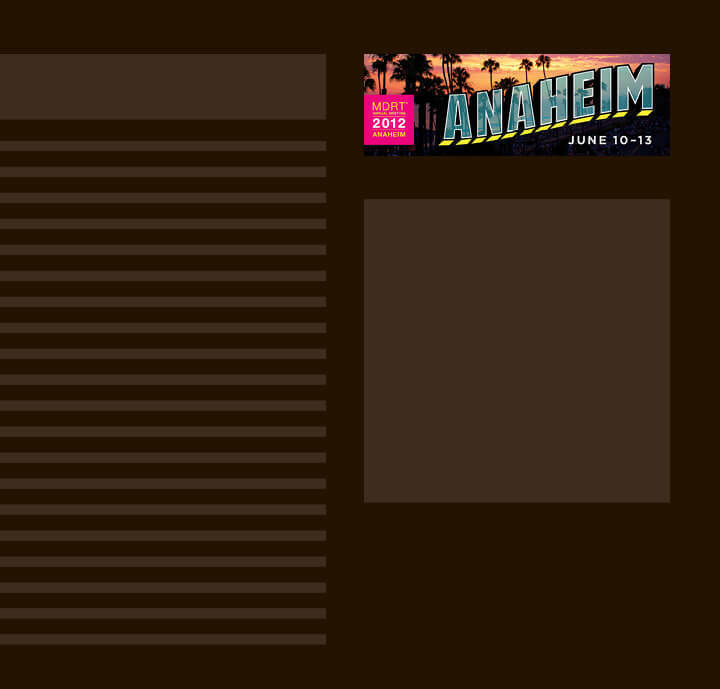 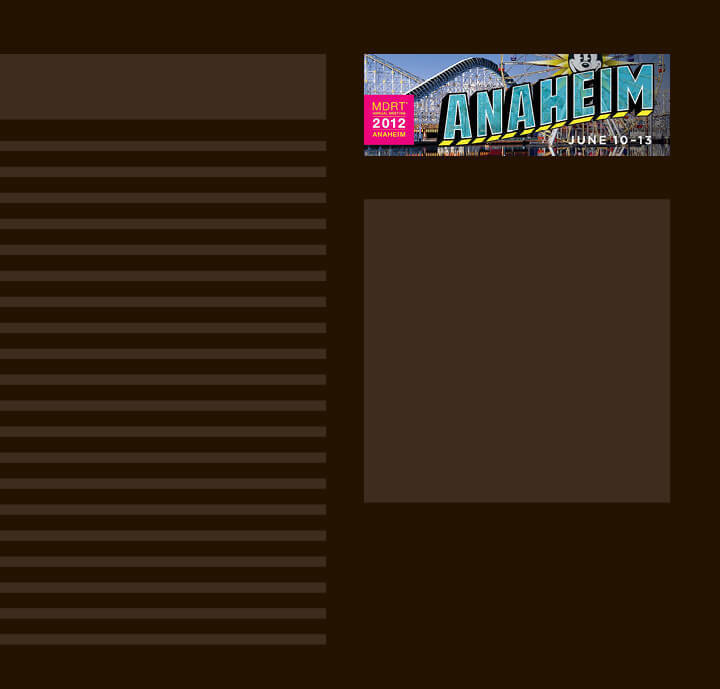 Anaheim (California) served as the next stop for the MDRT annual meeting. 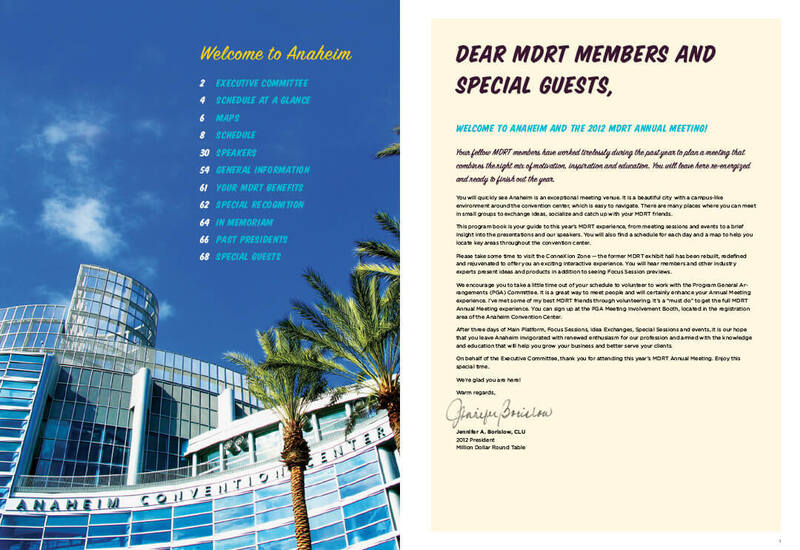 The location offered the group of over 12,000 financial professionals the chance to cut loose and enjoy themselves at many of the local attractions in between networking and industry-related keynotes. 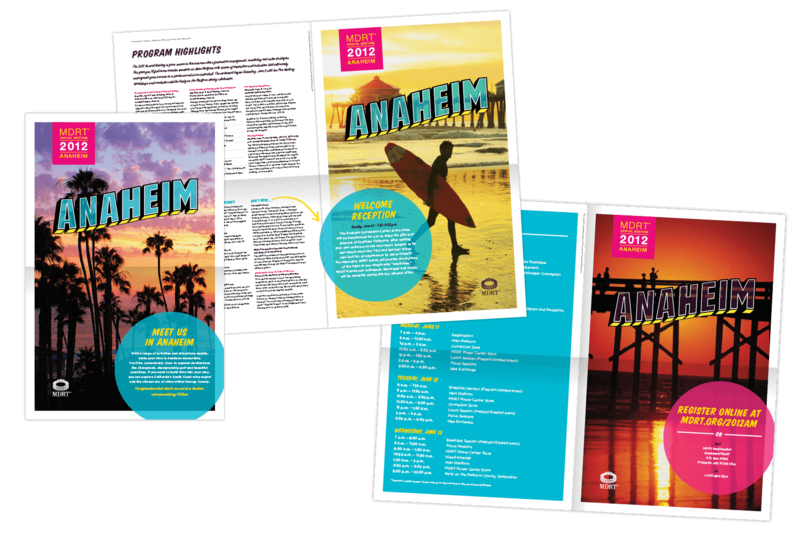 As a result, the event marketing captured the essence of California by merging a retro aesthetic with bold, vibrating colors. 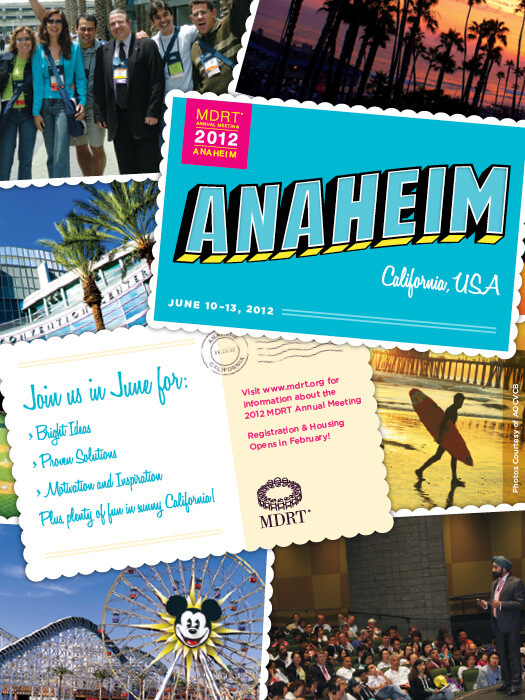 With the meeting in sunny California we used a bright color palette to create a fun and inviting look for the meeting. 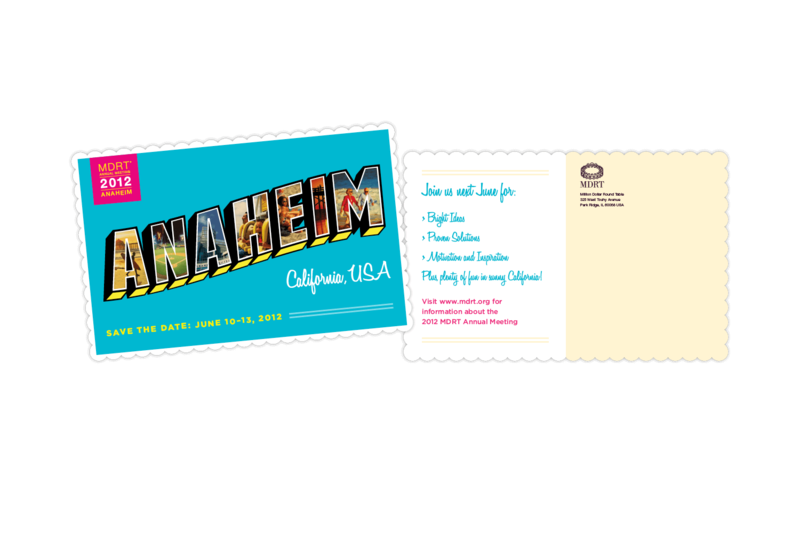 Save the Date We added a scalloped edge to the save the date postcard to give it a nostalgic feel. 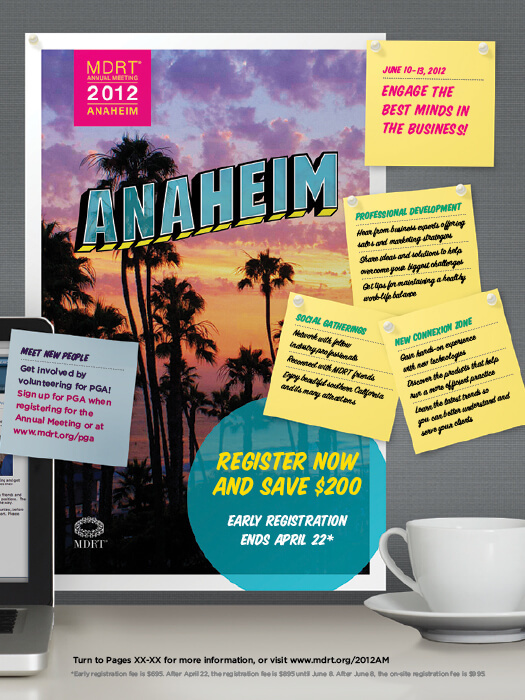 Registration Book This oversized overview brochure unfolded to reveal four event posters that members could hang in their office. 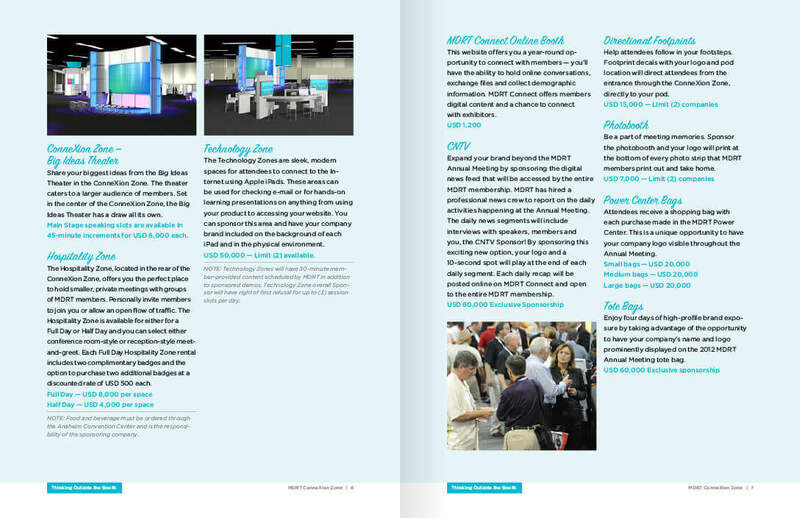 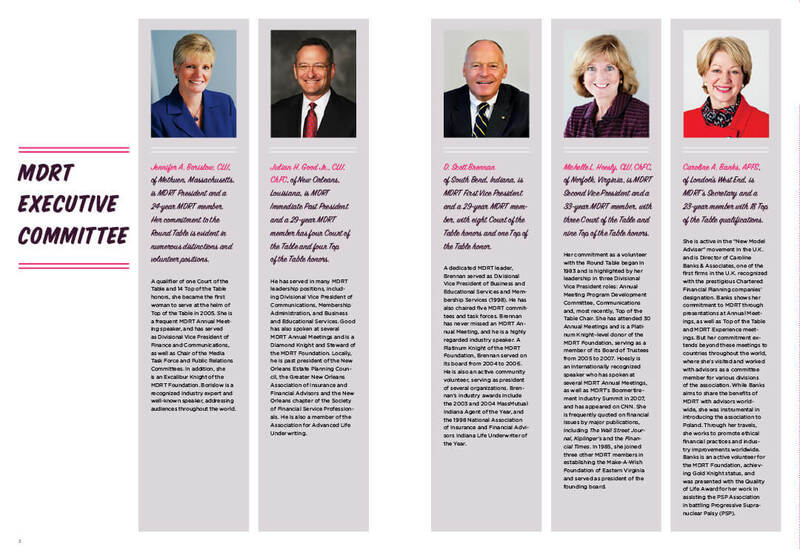 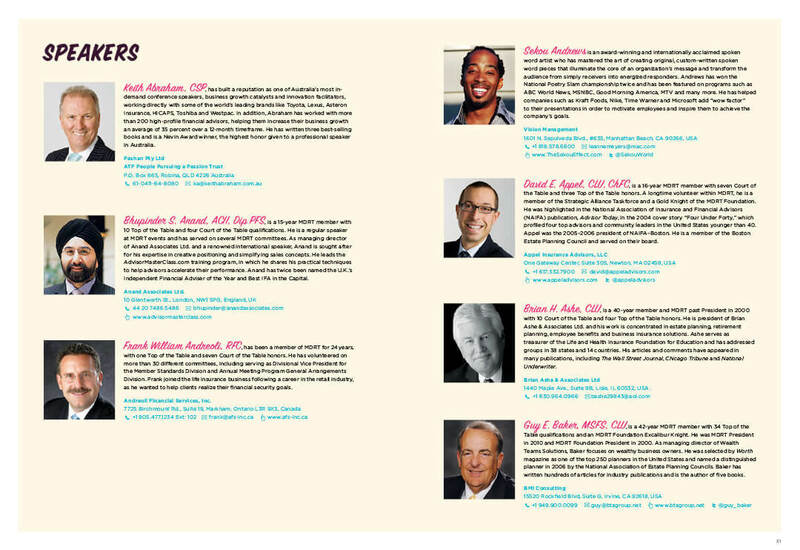 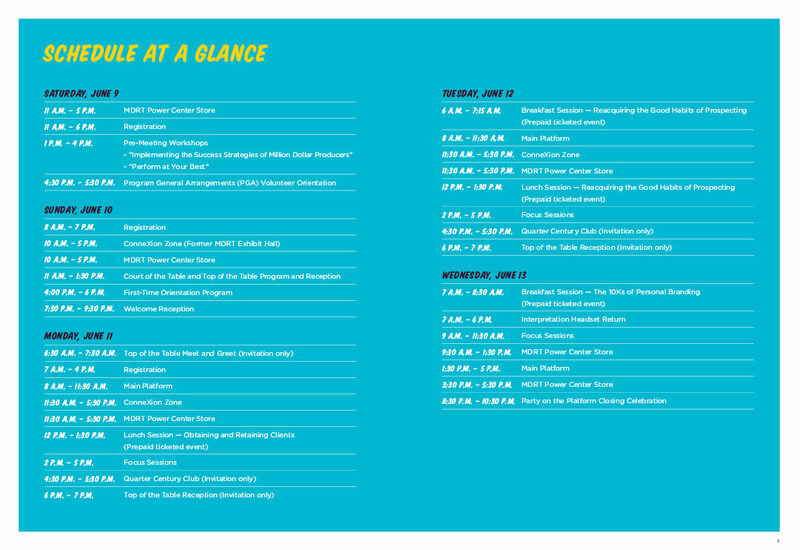 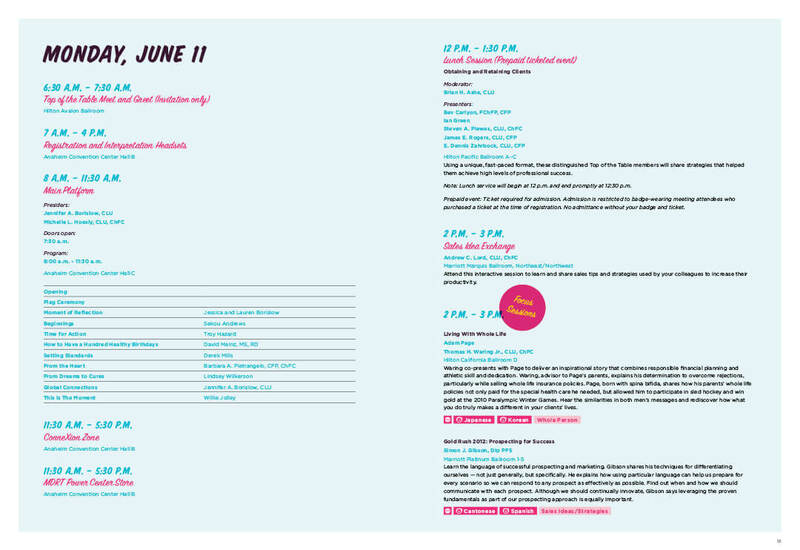 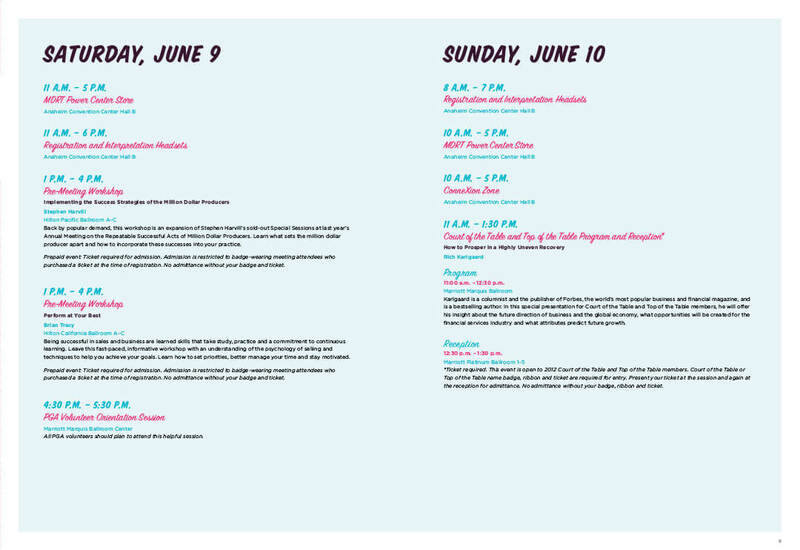 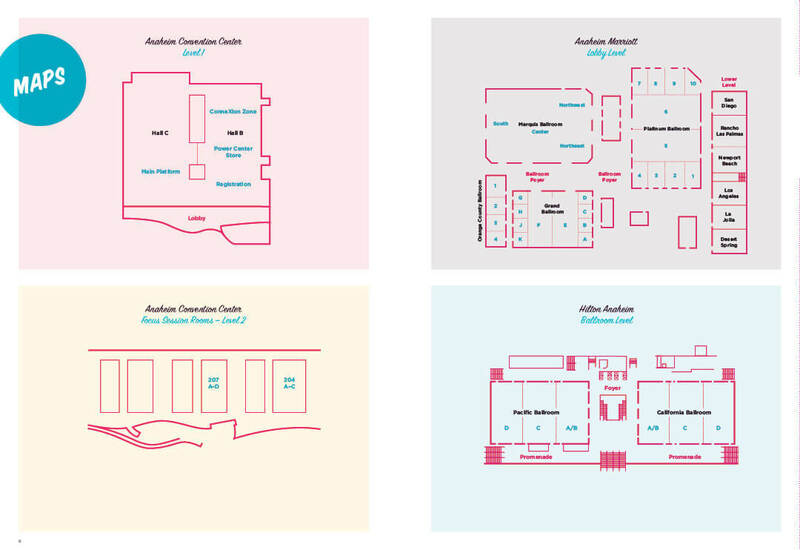 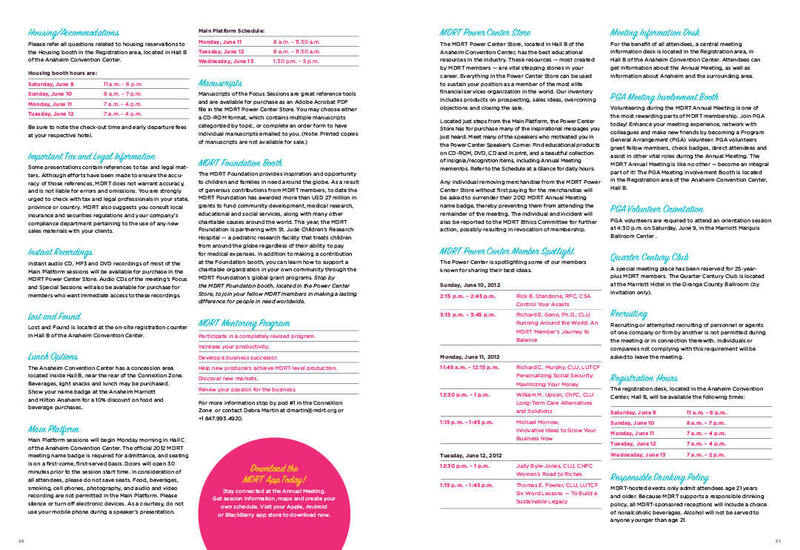 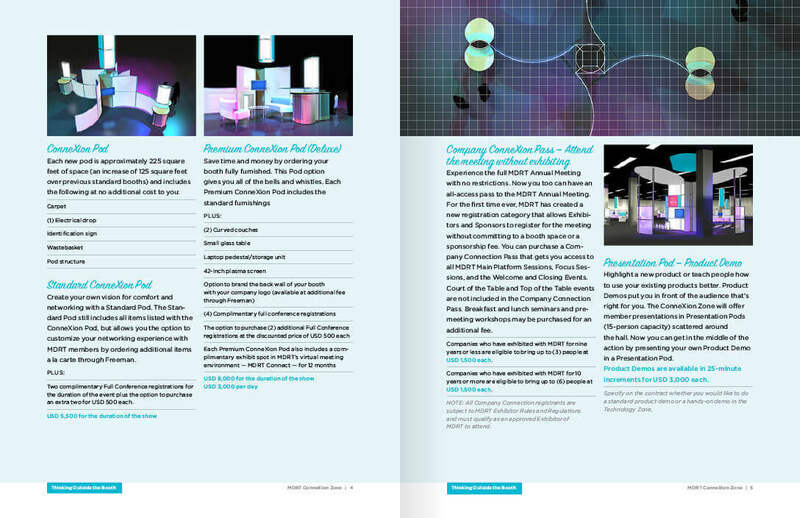 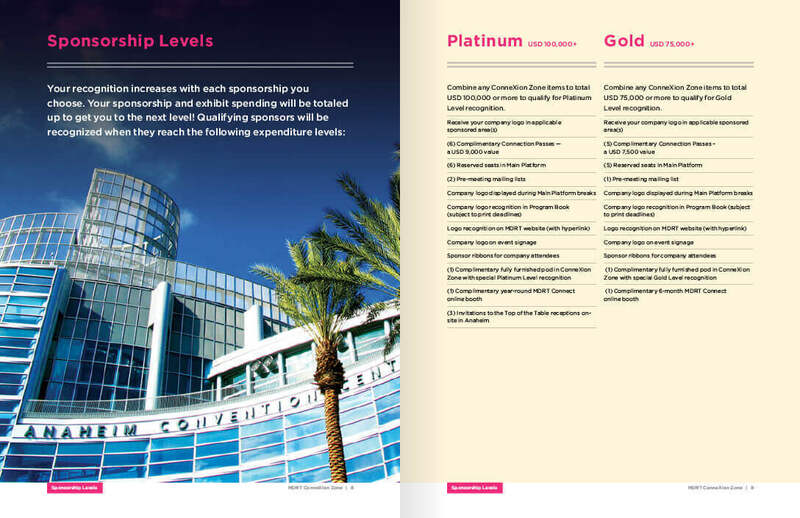 With over 10,000 attendees and four days of events, speakers, and small group sessions, the 120-page program book was well-designed and carefully organized to get everyone to the right place and at the right time. 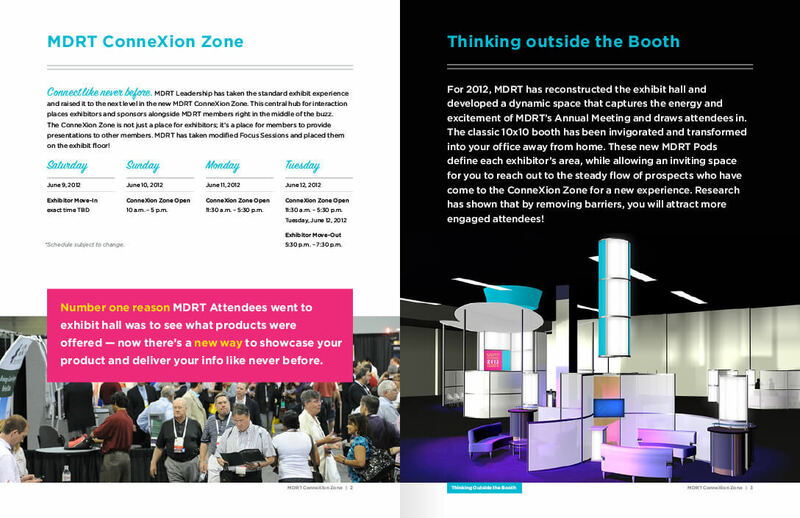 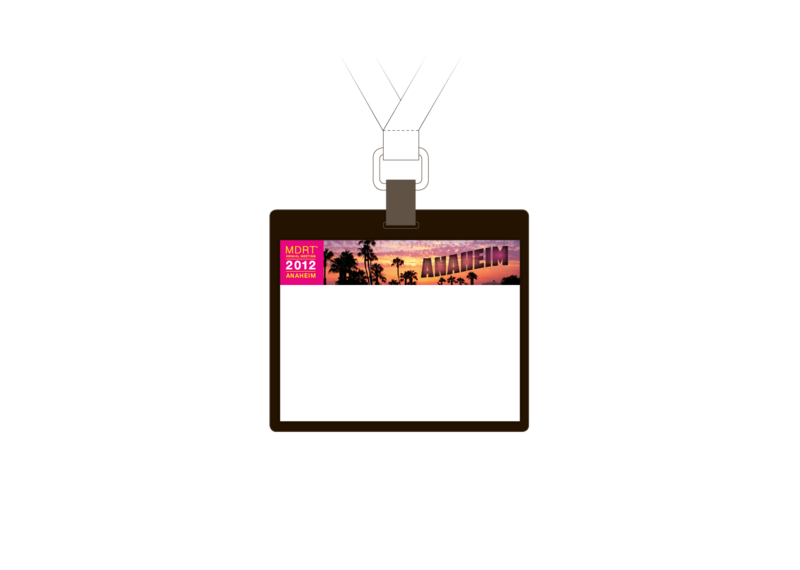 A simple online ad was designed to be placed on industry-specific websites informing potential attendees about the location of the meeting and introducing the brand for the event.